They make us laugh, they make us cry, they even make us cheer! When we see underdogs take on extraordinary goals, despite all adversities and difficulties, we can relate to them. We all need inspiration. Dealing with neck to neck competition in the modern era, sometimes we get tired of trying and want to give up. But movies these make us look inside ourselves and, often, can be used as inspiration themselves. So to that end, here's a list that is not just any casual evening watch. 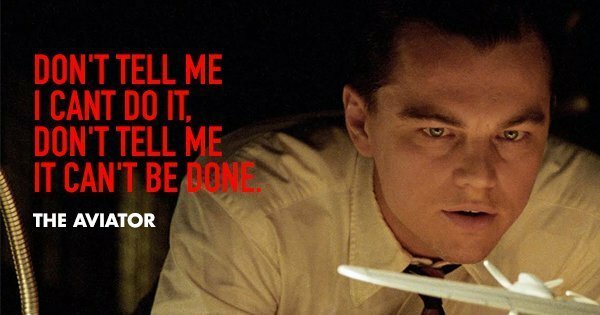 These 20 movies are sure to motivate us, inspire us and stick with us long after the ending scenes. 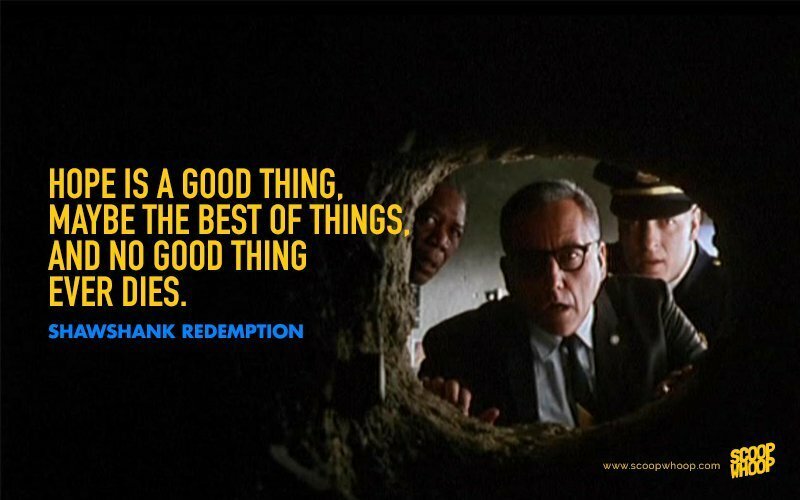 The Shawshank Redemption tells the tale of banker Andy Dufresne's 19-year term in prison. 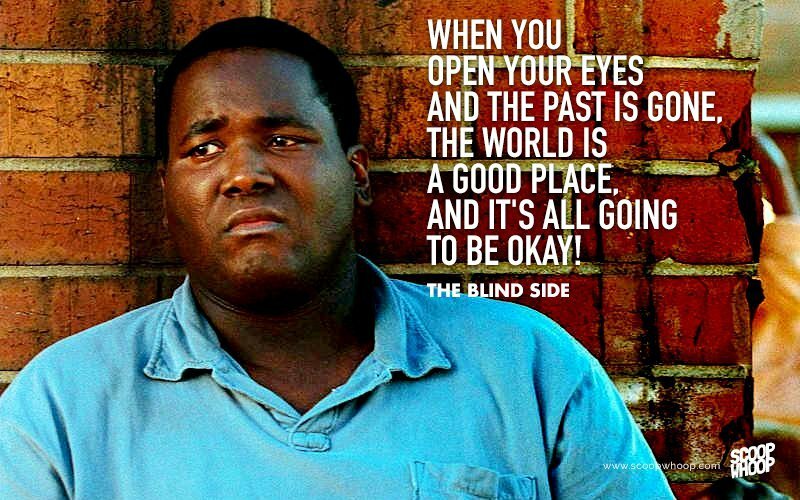 The film gives a strong message of friendship and perseverance and lets us have an insight of the lives at Shawshank. The film just doesn't end with innocent Andy's escape but also his mate, Red's redemption making it an inspiring story of hope, faith and bonding. 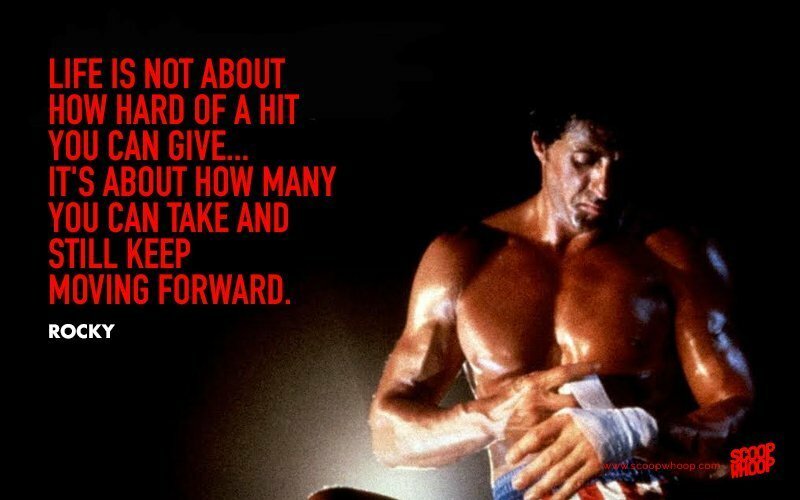 The story of Rocky Balboa is not just of boxing, but of struggle and hard work. The difficulties of daily life that he struggles to earn for, his relationship with his best friend's sister and the formation of his career are all well-knit parts of the plot, and this overall view of his life is what makes the movie so special. This story of a man, who from a 'nobody' becomes a 'somebody' is truly an all-time inspiring watch. What if you were asked to choose between amputating your hand and death? 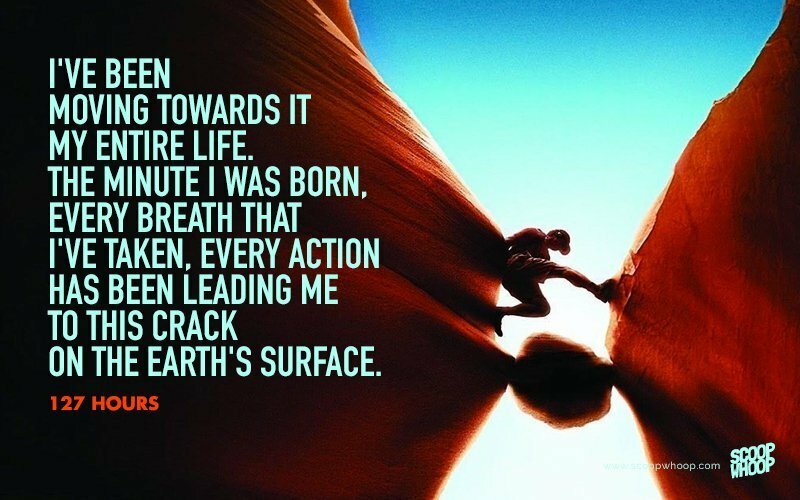 That's the decision Aron Ralson had to make in 127 Hours. The five days in the life of this lone trekker being trapped and his miraculous return to civilization is a story of survival. 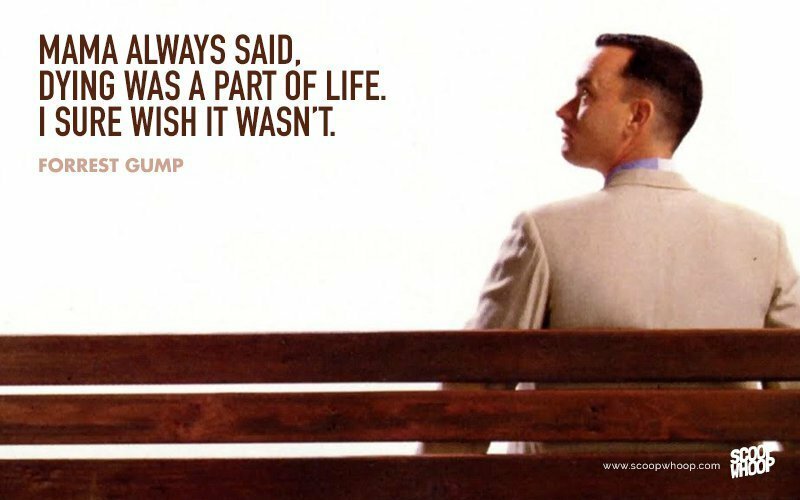 This film not only inspires us but makes us grateful for something we all take for granted - life. As the name aptly reveals, Into The Wild is a story of breaking free. 'I don't believe in careers Mr. Franz, I think careers are a 20th century invention,' is a dialogue that well reflects this sentiment. Christopher McCandless, leaving his profitable career as an athlete behind, chooses to give his possessions for charity and embarks on a journey to Alaskan wilderness. 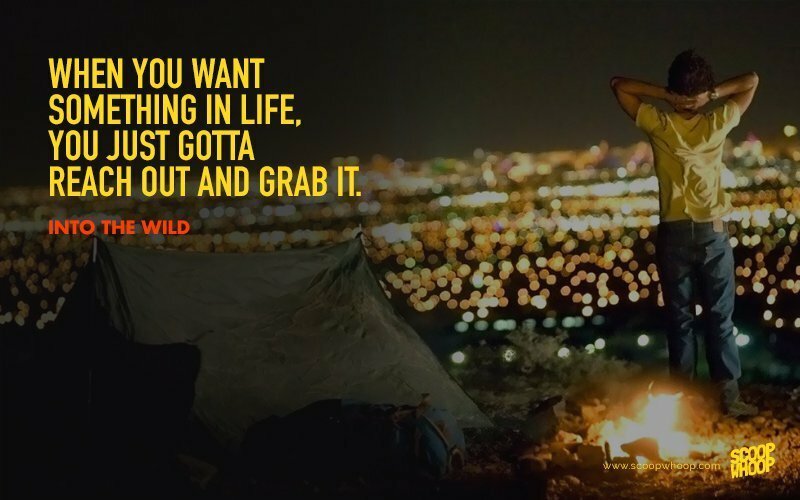 An inspiring story of choosing an alternate life path in today's competitive world makes Into The Wild an unconventional treat. At a time of genocide, this film tells the story of a true hero. Oskar Schindler's arrangement to keep his Jewish workers protected to ensure his factory is still in operation did not only work for his benefit, but saved many innocent lives too. The plot of the story is a masterpiece, bringing out humanity warped in business in a time of war. 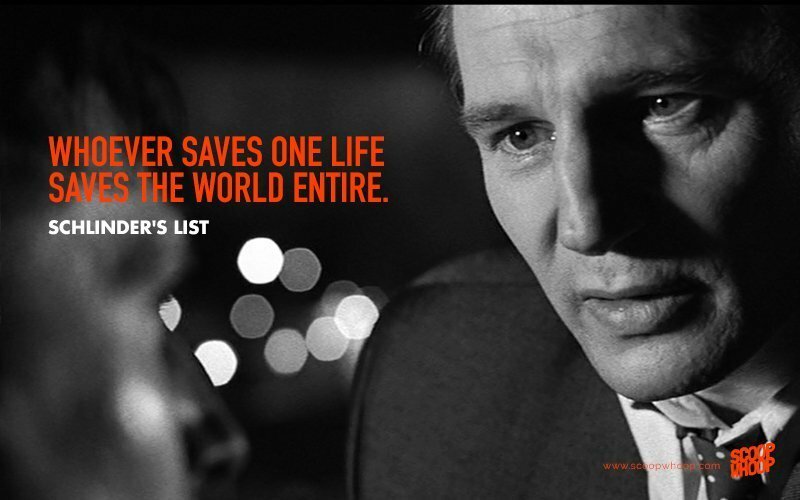 The movie ends with the tragic fate of Schlinder despite the endeavors of the ones on his 'list' - a truly inspiring conclusion that will leave you in tears. This movie is one that makes us value relationships. When an angel comes down as an answer to George Bailey's prayer wishing that he wasn't born, he begins to see how he has impacted his loved ones. 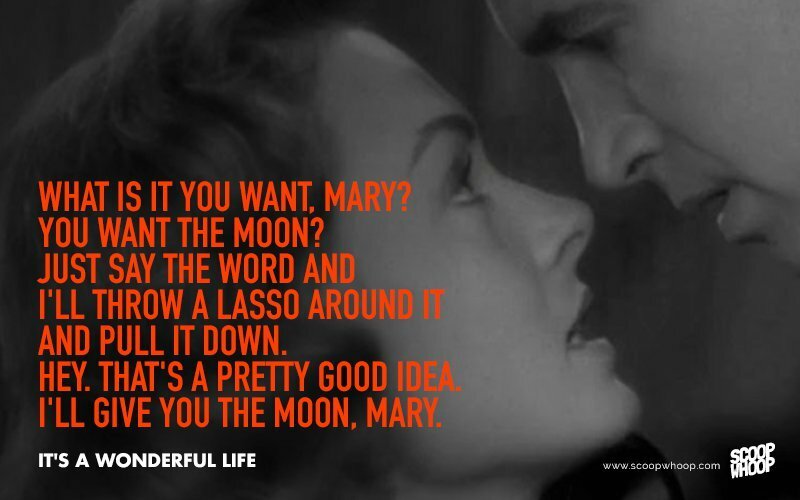 Set in Christmas season, It's A Wonderful Life is truly a wonderful watch, leaving us inspired by its simple yet captivating plot. The story of Erin Gruwell faced with a class of at-risk teenagers deemed to be incapable learners is a must-watch! The plot of how a teacher can affect the lives of her students in a positive way is brought out as Gruell encourages her students to choose definitive careers for the future and inculcate good habits in them like keeping journals. This film reeks the message of motivation, and is inspiring both for teachers and students. 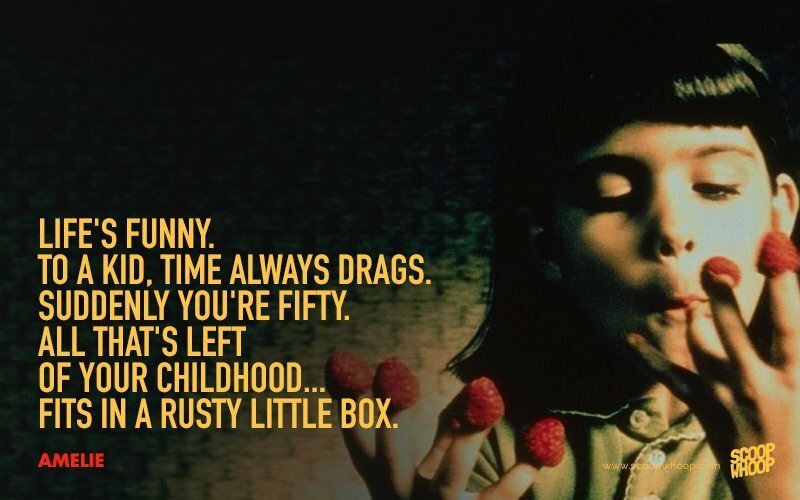 The film Amelie captures the exquisite charm and mystery of modern day Paris through ingenue eyes. 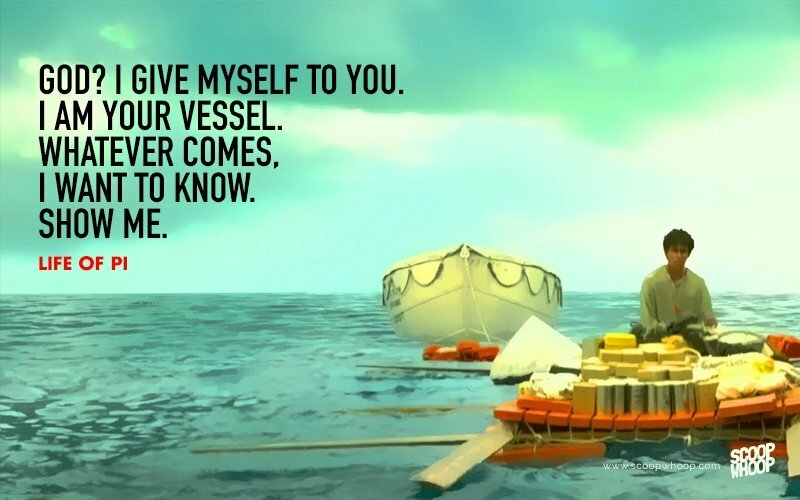 The way Amelie imagines other peoples lives around her, and creates a world of her own making, is an inspiring tale of imagination. The tapestry Amelie knits around her hoping to bring Joy to the peoples lives around her, in her own little way, tells the story of magic, innocence and love. The story of Burt Munro tells us that if you believe in something, don't give up. 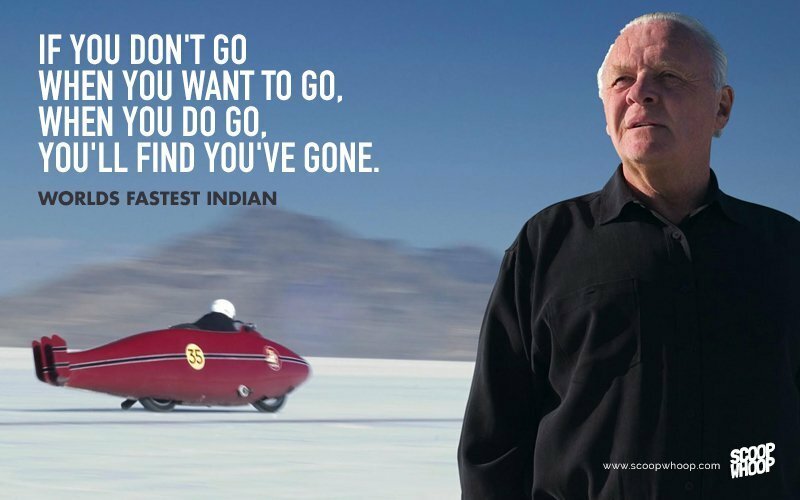 Though it took years for the New Zealander to build his 1920 Indian motorcycle, he did not lose hope and it helped him set the land speed record at the 1967 world record at Utah's Bonneville Salt Flats. The true story of a man who never gave up on his dreams of doing something big - and doing it very, very fast - provides the basis for this engaging and inspiring plot. Whether dominating on the gridiron as a college football star, fighting in the Vietnam war, or captaining a shrimp boat, Forrest leaves an impression on people with his childlike innocence. Growing up under the care of his supportive mother in a protected environment, slow witted Forrest never considered himself disadvantaged. He tried to make people around him happy in his own small way but becomes puzzled while saving Jenny, his childhood sweetheart. The film emanates the sentiment of innocence and love, making us grateful for the simple joys of life. 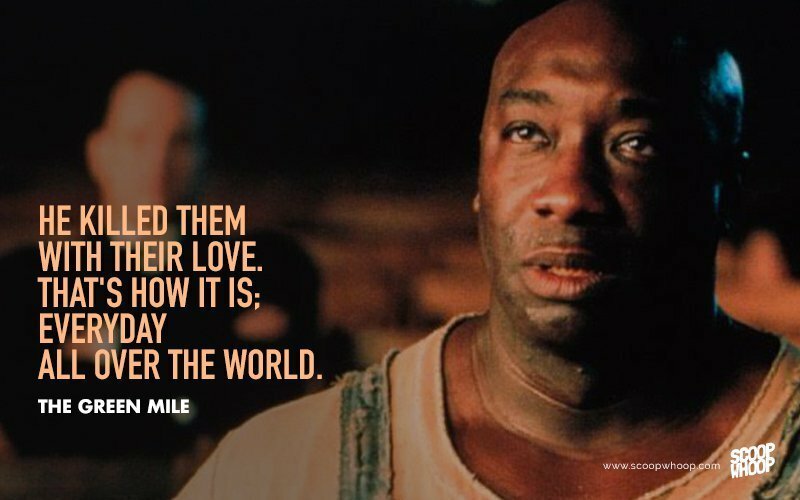 Though Paul had walked the mile with many felons, he was convinced of John Coffey's innocence. Beyond his naive fear of the dark, Coffey also has a prodigious supernatural gift. The captivating plot of choosing between doing the right thing or performing duty also emanates sentiments of friendship and humanity. 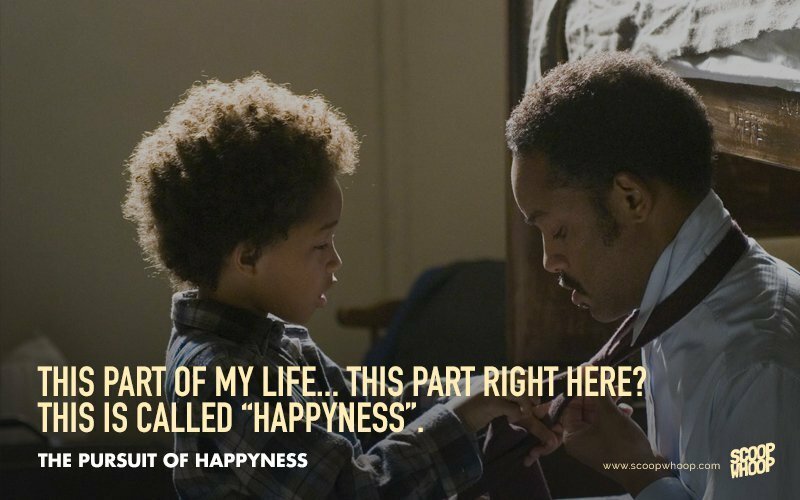 The struggle of father Chris to provide a good future for his son is the inspiring plot of The Pursuit Of Happyness. The movie while highlighting the father and son bond also has the message of never giving up. Being evicted from their home and faced with financial difficulties both father and son encounter numerous struggles everyday. Yet, the small bits of happiness they find in their togetherness provides a heartwarming plot for the film. 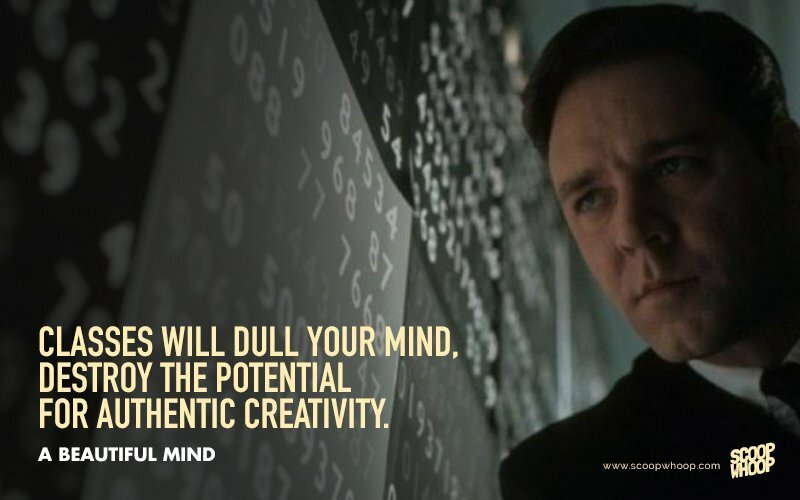 A story of a mathematical genius on a harrowing path of self discovery, A Beautiful Mind explores various facades of human emotions. John Nash, at the brink of international acclaim, discovers a side of himself he was unaware of. The film based on the book by Sylvia Nasar explores commitment, success and a heartbreaking folly of the human mind. Being the sole human survivor of the ship while travelling to Canada, Pi finds himself in the middle of the ocean stuck in the company of a tiger, a hyena and an orangutan. The struggles and adventures of Pi, added to the extraordinary portrayal of nature, make the movie not only inspirational but also a visual treat. Wladyslaw Szpilman's struggle for survival in the debris of Warsaw at a time of war provides for an extremely inspiring plot. Based on true events, the movie actually depicts the changes in Warsaw at the time. 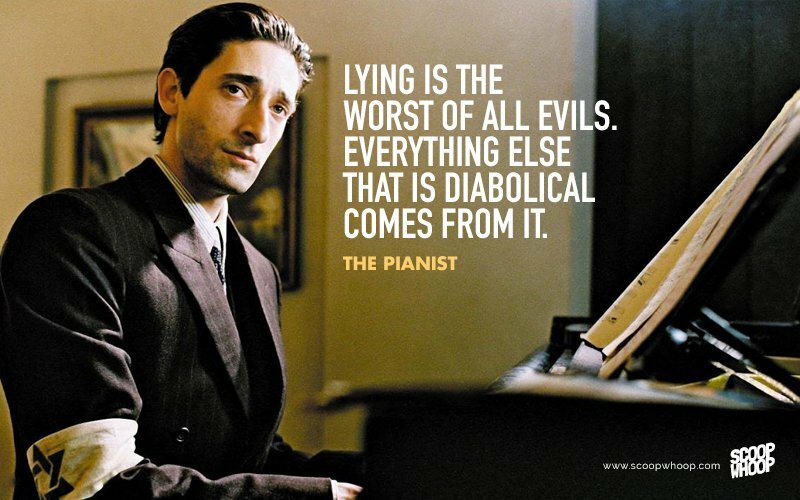 The film shows how the power of music was the pianist's only support through his tough times. Besides being motivational, this movie is also a musical marvel. Though the plot is primarily based on the competition between F1 drivers James Hunt and Nikki Lauda, the film goes on to reveal many more sentiments. As the two drivers are pitted against each other to be the best on their gas-filled roller bombs, the film makes us encounter extremes of mental and physical endurance. Competition and the race to be the best are the two cornerstones of the plot that tells the story of two of the best F1 drivers the world has ever seen. Life is beautiful is a story of hope and imagination. 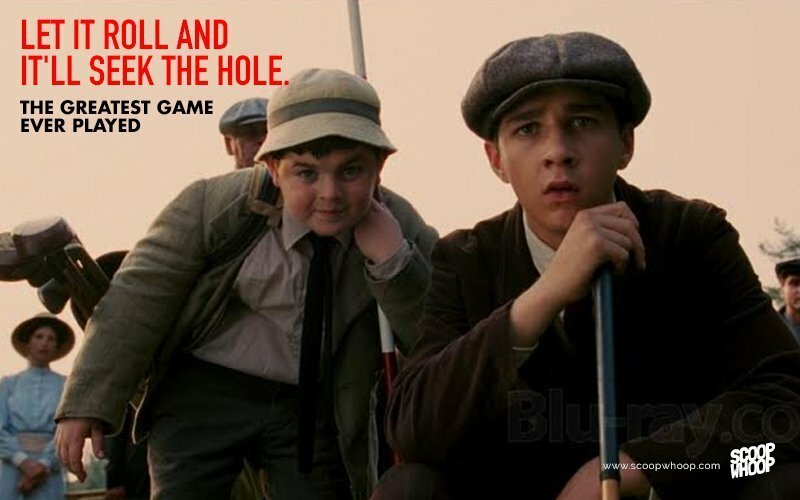 Though Guido has been separated from his wife Dora, he tries to keep his son happy by convincing him that their time in the concentration camp is just a game. 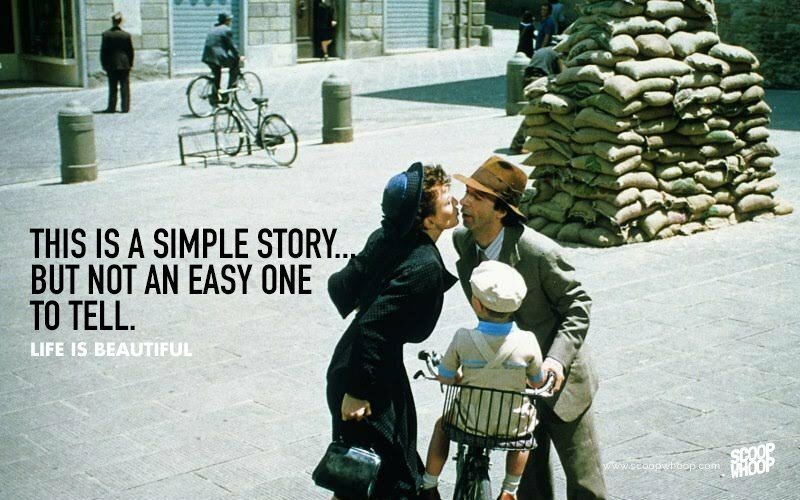 The positive spirit that Guido displays, trying to make life beautiful for his little boy and the belief in his heart of reuniting with his family provides the basis for the motivational plot. 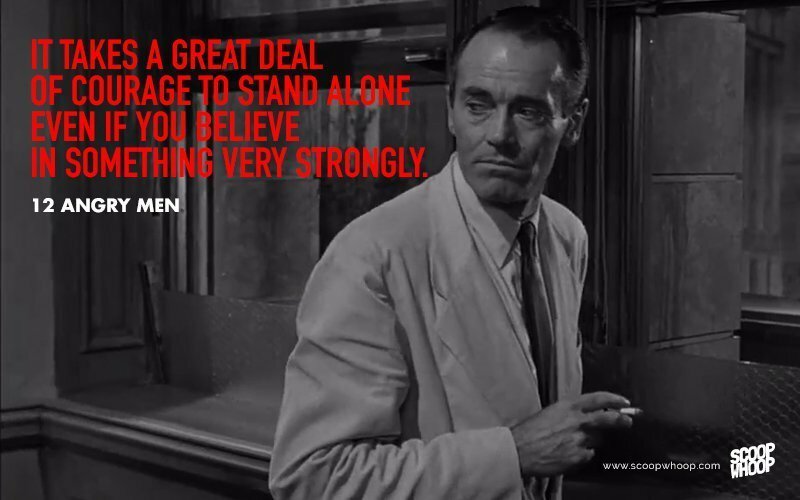 As a dozen men try to reach an unanimous decision about a guilty verdict, Henry Fonda casts doubts on the elements of the case. This movie reinstates our faith in dialogue and reasoning proving that no decision is beyond change. As the debate heightens, personal issues surface and the fate of the inner city teen becomes secondary. The movie, though shot in one room, elaborately explores various aspects of human behaviour. Francis went on to pursue his passion despite strong disapproval from his father and his social standing. Being a caddy himself, he went on to participate in the 'rich man's game' and found himself being opposed by his childhood idol. 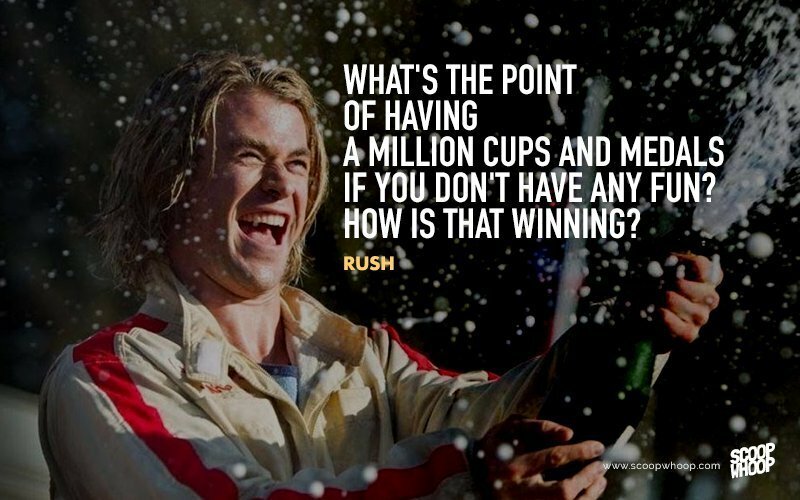 The Greatest Game Ever Played , a story of dreams, struggle and success - is definitely one of the most inspiring movies of all time. Who said family ties are only based on blood relationships? When the Tuohys brought Micheal, a homeless black teen back home, they did not realise how it would change both his life and theirs. The film emanates the message of giving without expecting anything in return - a heartwarming movie that leaves its viewers inspired and feeling good. The biopic describing the early life of Hollywood director and Aviator Howard Hughes is a powerful story of a successful young man. However the director of big budget movies and the interest of leading industry actresses remains tormented in private suffering from depression and paralyzing phobias. Under Martin Sorcese's direction, The story of the Aviation pioneer reveals hard hitting facts of human dilemma.